Contact us at Carolina Turf and Mosquito, LLC for more information about our lawn care services and turf management solutions in Charlotte. 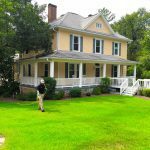 If you have a vision for your lawn but you just can’t seem to make it happen, or if you are battling lawn problems and you haven’t been able to find long-term solutions, our team at Carolina Turf and Mosquito, LLC is ready to assist you. 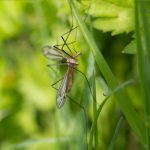 Whether you are fighting off pesky mosquitoes or you are struggling to fill in the bare areas in your lawn, our team is equipped to handle any turf management needs, so you enjoy a beautiful, healthy lawn all year round in Charlotte, North Carolina. Contact us today to schedule your service and learn more about how we can assist you!